Includes morning tea, lunch and closing drinks. 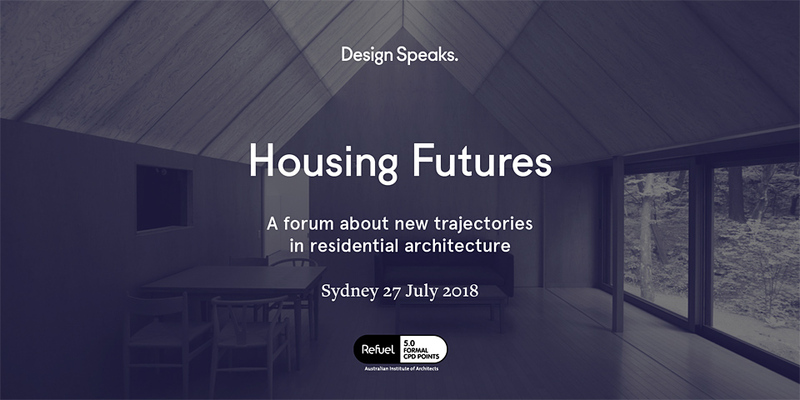 Engage with speakers representing a wide range of disciplines from Australia and abroad, who will speculate on the ways that architects, designers, planners, developers and policymakers can help meet the demands of today and create the cities of our future. Australian Institute of Architects – 5 formal points. Tickets are non-refundable. All details are correct at the time of publication, however changes in format, content and speaker line-up may become necessary, at the discretion of Architecture Media. Image: House in a Forest by Go Hasegawa and Associates. Architecture Media is Australia’s leading publisher for the architecture and design community and an associate company of the Australian Institute of Architects. Publications include Architecture Australia, Artichoke, Houses, Houses: Kitchens+Bathrooms, Landscape Architecture Australia and Architectural Product News, and the websites LandscapeAustralia.com, ArchitectureAU.com, Selector.com and ProductNews.com.au. Under the Design Speaks brand, we present these seminar programs and forums: The Architecture Symposiums, Artichoke Night School, AA Roundtable, Our Houses, Work Place/Work Life, Old School/New School, Health Care/Health Design and Housing Futures. Through a collaboration with the State Library of Queensland, Architecture Media is a founding partner of the annual Asia Pacific Architecture Forum. Architecture Media delivers awards programs including the Australian Interior Design Awards (in partnership with the Design Institute of Australia), the Houses Awards, the Eat Drink Design Awards and the Australian Urban Design Awards (convened by the Planning Institute of Australia). We have a reputation for delivering high-calibre, industry-recognized events and programs that celebrate, promote and facilitate the achievements of architects and designers.